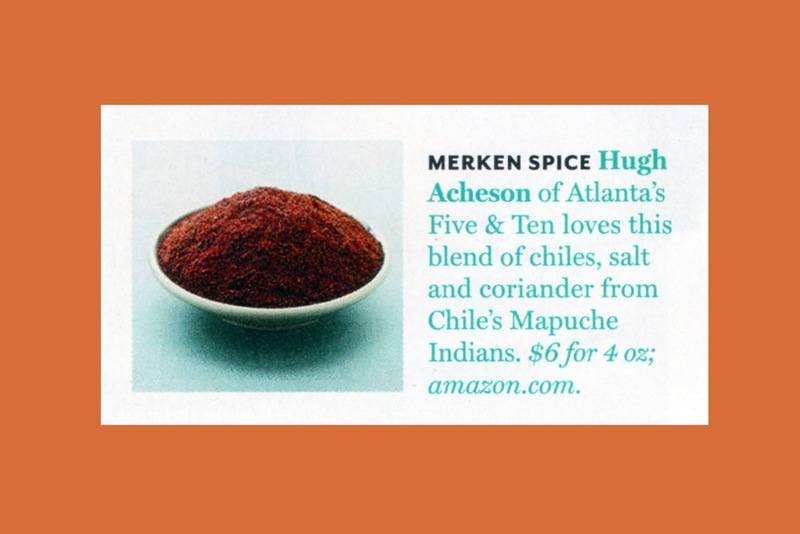 While perusing through the August issue of Food & Wine the other week I was delighted to find that not only was Minneapolis (Jordan and I’s hometown) featured as a foodie’s paradise, but Knowmad’s favorite spice, Merken, from Chile got a mention as well. I’ve of course been throwing it on everything since…roasted tomatoes (yum), hard boiled eggs (why not? ), or cereal (alright, now I’ve gone too far!). It’s an excellent substitution to paprika, adding just the right amount of smoky flavor.